All homes currently listed for sale in the zip code 90043 as of 04/18/2019 are shown below. You can change the search criteria at any time by pressing the 'Change Search' button below. "Italian Period Revival Estate, with Prairie School influences, boasts spectacular views and magnificently appointed rooms as intended when constructed in 1922. Originally built by Percy Thomas Martin, who owned a large butter, egg, and poultry ranch in Los Angeles, also known as, poultry man and rancher. By 1920, Mr. Martin had become a pioneer Los Angeles contractor and developer. It is said Florence Avenue was named in memory of his wife in 1920. This beautifully remodeled 1922 classic estate offers 6 bedrooms, 4 bathrooms, with a bonus In-law suite. An expansive landscaped yard provides endless opportunities to host and entertain guests on a grand scale. Residents' benefit from the property's proximity to Metro, freeways (405,90,10), coastal beaches, downtown, Culver City, and the LAX Airport. Presently, several major economic development projects are under way, to include, public transportation, retail shops, and the new Los Angeles Stadium and Entertainment District." "This Beautiful Corner Lot has 4000+ square feet of living space, on an 18000+ square foot lot! With 3 Spacious Stories, 5 Bedrooms, 4.5 Bathrooms, a Basement &an Attic! It also has 2 additional bonus rooms (for an Office, Playroom, Game or even extra Bedrooms). Perfect for Family living! Mills Act Historical Property eligibility charm, with gorgeous remodels and updates. Wood lined entryway, wood lined stairs, Loft, Bonus room, Living Room with fireplace, Formal Dining Room, Breakfast Area, Family Room, Spacious Chefs Kitchen with Granite counters, island, wrap around, country-style porch. Park Mesa Area, adjacent to Windsor Hills View Park"
"Grand historic 1916 craftsman with 4 bedrooms and 2.5 bath located adjacent to View Park with city views. Situated on a generous raised corner lot, it's enchanting handcrafted Filipino Wood built-ins, wainscoting, and woodwork offers elegance with an abundance of light through its countless windows and French doors. New Upgrades include Central HVAC, Copper Plumbing, Electrical brought up to code, a repaired chimney with warranty, tank-less water heater, a new Wine Cellar, and more. Additional features include 3 large porches, fruit trees, Jacuzzi Tub, and a movie screen with surround sound in the backyard. This house has been featured in multiple Film and TV shows, and even has a hidden door to the attic! Come and see this amazing home today." "Old world charm meets modern amenities at this must see turnkey character Spanish re-imagined by VEIN Design and CCS Construction. A stone path guides you past an oversized arched window shaded by a noble olive tree to unique alcove entry. Step inside to open concept living, kitchen and dining rooms with soaring vaulted ceilings and restored hand painted cedar beams. View the wood-burning fireplace from the bespoke kitchen equipped with Bertazonni range, custom cabinetry, marble counters, enormous island and walk in pantry. Down an arched hallway is a light infused master suite with walk-in closet, marble slab shower and Waterworks/Phylrich finishes. French doors open to a Saltillo-tiled balcony with custom iron handrails spilling into an entertainers backyard with lush landscape by Wildflora. Three guest bedrooms and two full bathrooms complete the spacious floor plan. Versatility with a fully permitted guesthouse, equipped with s/s appliances, and butcher-block countertops." 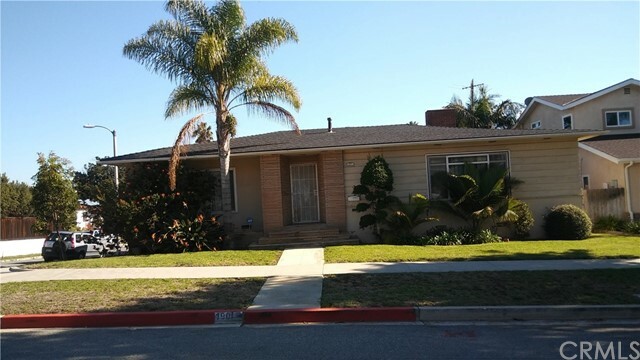 "Move into one of the most desirable areas in Los AngelesWindsor Hills. This mini estate is full of sophisticated charm, 2 Large bedrooms and a impressive master bedroom with a en-suite bath. the dinning room is separated from the living room by a fabulous entry foyer. Entertain in the family room with a fireplace for cozy evenings. There is a two car garage. The property has been retrofitted. The Kitchen has been updated and refurbished with new stainless steel appliances stove/refrigerator/dishwasher/stainless steel sinks. The laundry room comes with washer and dryer. The roof has a 40 yr guaranty and there are new windows throughout the house. Now showing / Seller relocating." "Unique Winsdor Hill home on extra large 14,400+ sq ft lot. 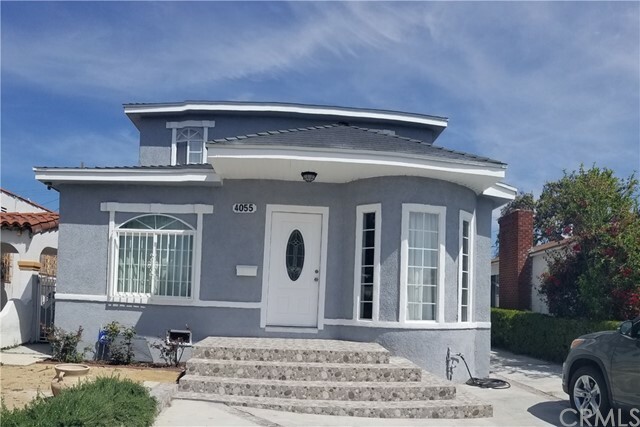 This 4 bedroom-2 bath home was completely remodeled and newly expanded in 2016. It sits on the top of the knoll with view potential, low maintenance front yard, and expansive backyard - room to add pool, or ADU. The home has an open floor plan, high ceilings, recessed lighting throughout, hardwood floors, central hallway which leads to the four bedrooms. There is a 2 car detached garage on the front of the lot. This is a little bit of paradise in the middle of the City. Come see this property for yourself." 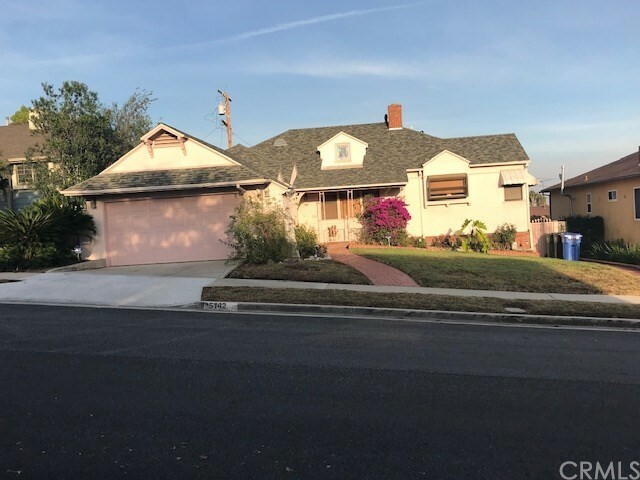 "LOCATION.....Located on a serene street in the highly sought after and distinguished community of View Park/Windsor Hills. Ready to move in or if you like add your own personal touch. Grand Master bedroom with walk-in closet, fireplace and beautiful unobstructed City Views. Nice size back yard with an additional area for pets if needed. Close to Kenneth Hahn Park with friendly Hiking trails and a charming fishing lake for everyone! Easy access to LAX, DTLA, Inglewood, Culver City and local area beaches." "We are pleased to present this stunning, fully remodeled home located in highly coveted Windsor Hills. Situated on a large lot with awesome views, this masterpiece has been highly upgraded to include a new HVAC system, brand new roof, a new 200 amp electrical panel and new dual pane windows. Boasting an open floor plan with stylish new wide plank flooring and recessed lighting, the new kitchen is complete with fully customized wood-shaker cabinetry, marbled Quartz countertops, contemporary tile backsplash, new stainless-steel appliances, and center island. The Master Suite features a large stylish en suite bath, finished with custom tiled oversized walk-in shower with glass doors, Kohler plumbing fixtures, Quartz counters, & tile floors. The two-car garage offers direct access to the first floor bonus room. The tiered backyard is beautifully manicured, serene, and offers dual entertaining spaces, mature fruit tree and a large viewing deck perfect for entertaining." "This is a rear gem, located in residential with commercial front. Ideal for business owner who wants to live by his/her business. 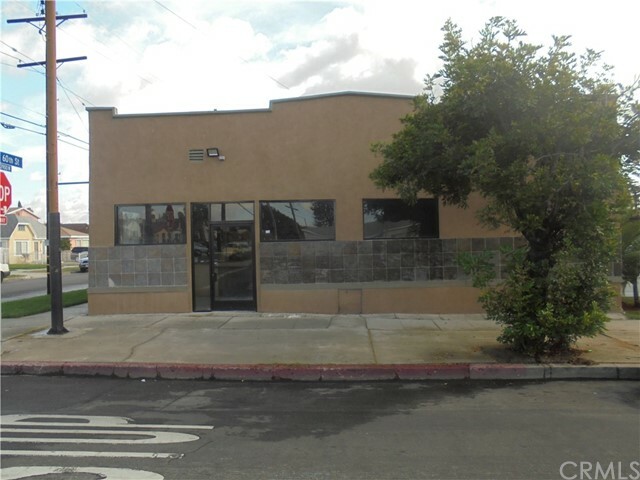 Perfect location with proximity to shopping, schools, park and freeway. Large rooms and space." 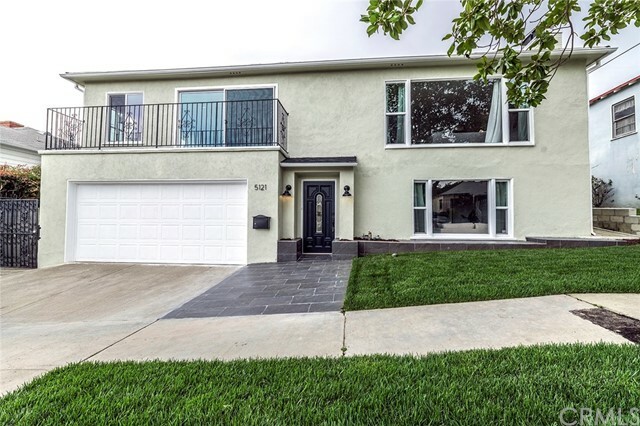 "ENTERTAINER'S DELIGHT IN WINDSOR HILLS, ~HOME IS NESTED ON A PRIVATE AND QUIET STREET ~REBUILT 2 STORY HOME IN 2006 (ORIGINALLY BUILT IN 1940) ~5 BEDROOMS + 3 BATHS (4 BEDROOMS DOWNSTAIRS + 2 FULL BATHS) ~ENTER A FOYER ~OPEN FLOOR PLAN TO A GREAT ROOM W/DINING AREA, FIREPLACE, BEAUTIFUL OAK HARDWOOD FLOORS, RECESSED LIGHTING AND FRENCH DOORS TO A DECK, A SLAB CONCRETE, AND GRASSY BACKYARD ~LARGE REMODELED KITCHEN HAS TILE FLOORS, GRANITE COUNTER TOPS, PLENTY OF COUNTER AND CABINET SPACE (PANTRY AND CHINA CABINETS), STAINLESS STEEL APPLIANCES & DIRECT ACCESS FROM GARAGE ~2ND LEVEL IS THE COMPLETE HUGE MASTER SUITE WITH FIREPLACE, FRENCH DOORS ONTO A BALCONY WITH SOME VIEWS, WALK-IN CLOSET AND OVERSIZE FULL BATHROOM WITH DOUBLE SEPARATE VANITIES, SEPARATE SHOWER ~ ADDITIONAL AMENITIES INCLUDE: CENTRAL AIR CONDITIONING AND HEAT, RECESSED LIGHTING, NEW CARPET IN ALL BEDROOMS, A MULTITUDE OF BEAUTIFUL WOOD GLASS AND PANE DOORS, UPDATED PLUMBING, UPDATED ELECTRICAL. A CHARMING HOME TO SEE!" 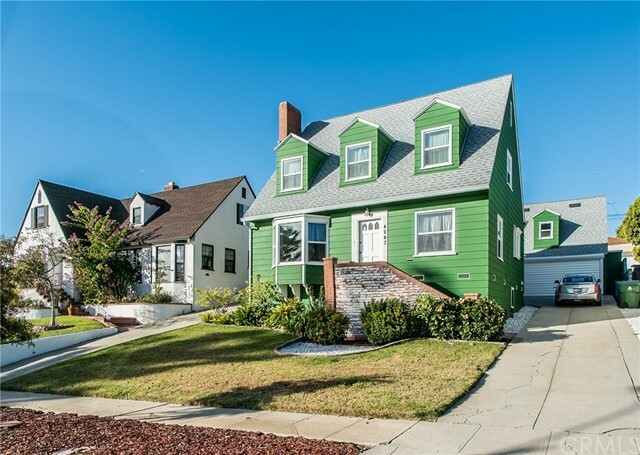 "This extraordinary Victorian house boast 4 bedroom 2 bath and a family room with lots of storage space. The master bedroom has a walk in closet area, private bath and sliding glass doors allowing exit out to a well lit patio. The 2 car garage has a bonus room above (Man cave potential). Beautiful two story 2000+sqft home boast an energy efficient; roof (house and garage), windows (house and garage) and forced air heating. Dazzling remodeled kitchen with modern white shaker cabinets, danali pine laminate flooring and a spacious walk in pantry. The living room and dining rooms feature hardwood flooring. Thoughtfully landscaped yard with a terrazzo stone patio with plenty of lighting. There is an abundance of rear yard space for entertaining. Call Today for a Showing!"